San Diego has always been one of my favorite places and this year, with the heat wave following me wherever I travel, I especially appreciate it. The weather is just perfect -- sunny and 75 degrees -- and it looks like it's going to stay that way for the duration. My travel was uneventful. I shared the flight from Chicago with about a dozen players and my friend, Mark Bey, coach extrodanaire who runs the CARE Academy. Mark gave me a lift to the Barnes Tennis Center. It's one of the best facilities around, with 21 outdoor hard courts, one of which is a center court with stadium seating. The place was buzzing with activities as the girls' were checking in, greeting each other, and practicing. Friday was registration day for the Girls' 16s, which start tomorrow, (a day earlier than the 18s). I checked into the Hilton San Diego Mission Valley, my home for the next 10 days, before heading back to Barnes. One of the first people I ran into was Christina Makarova, who is excited to be playing on her own court. Christina and I go back to when she was half the size and playing Little Mo while I was in Croatia covering the Smrikva Bowl. 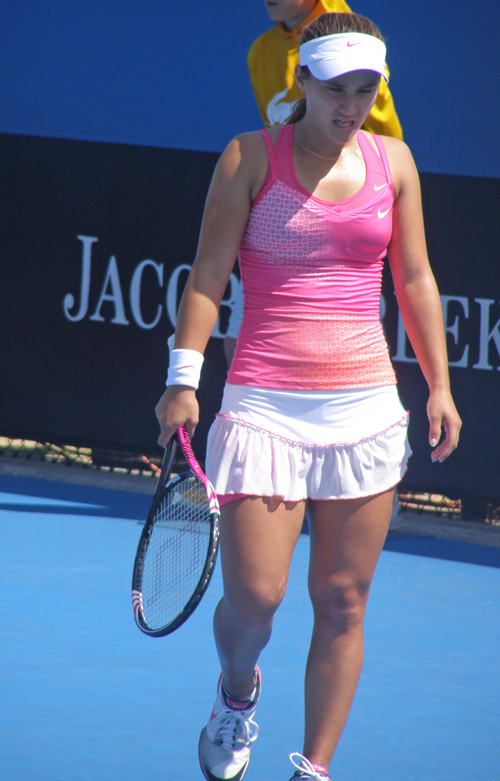 I had a chance to get reaquainted with Christina at the Australian Open this January. It's nice to see her and her mom, Luca. Luca was a top-ranked player in Russia, who then worked with top players like Anna Kornikova. 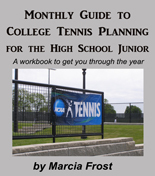 She is now a coach at the Barnes Tennis Center. The girls were given tee shirts and tournament survival gifts, as well as a book on everything there is to do in San Diego from the Convention and Visitor's Bureau. So far there has been only one major withdrawal, wildcard Garbielle De Simone, who said she was injured. The rest of the Girls' 16 players will be starting first thing Saturday morning. The 18s will be participating in the College Coaches Forum in the banquet hall of the Barnes Tennis Center before they register. Saturday will also be the Opening Ceremony, Player Meeting, followed by Group Photos and a Player Dinner. I ran into one other person at the Nationals site on Friday whom I've seen play since she was about Little Mo size, Jackie Carleton. 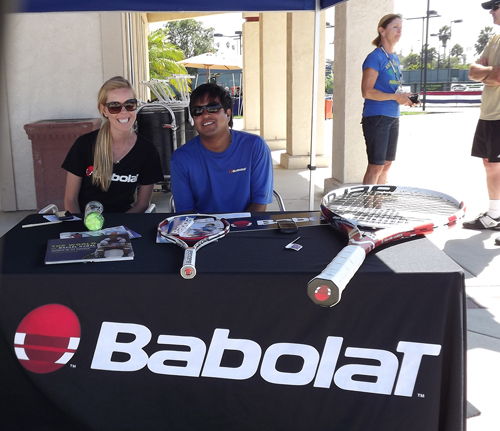 The former top-ranked junior (who played college tennis at UCLA and Duke) is now working for Babolat, who will be sponsoring the Player of the Day at this tournament. I was happy for the short day after my 3:30 am wakeup call (which was preceded by only about an hour of sleep) and prepared to get plenty of rest for a long, exciting 10 days in San Diego. It's hard to believe it's been two years since I was out at the USTA National Girls' 18 Championships watching Christina McHale (right) win the singles title. 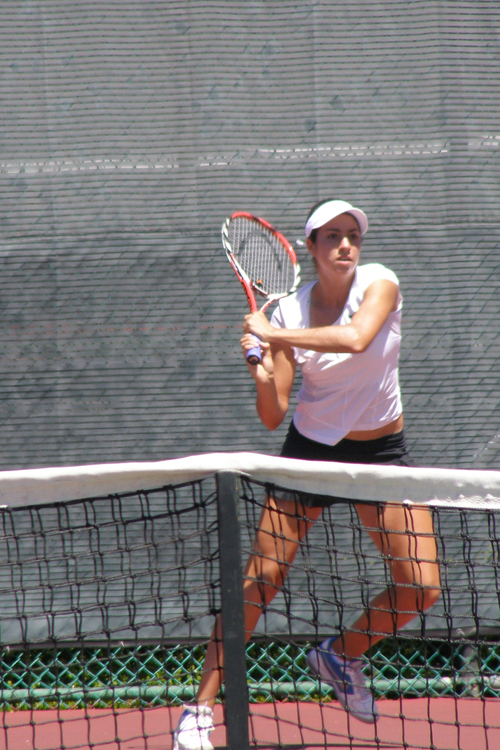 Since that time Christina has not only turned professional, but she is poised to break the top 50 -- the youngest America player on the WTA rankings to do so. A lot can change in two years and it has changed for this tournament, as well as its winners. 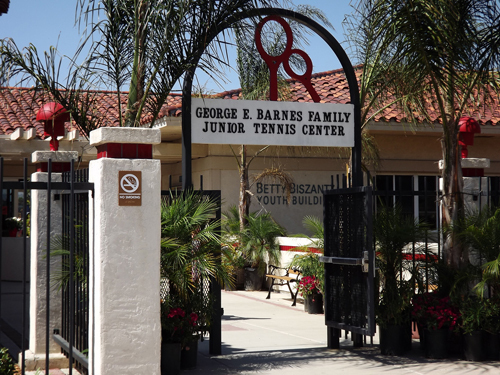 It's now in San Diego at the Barnes Tennis Center. It has also merged with the Girls' 16 Nationals to make an event that is getting ready to rival Kalamazoo! 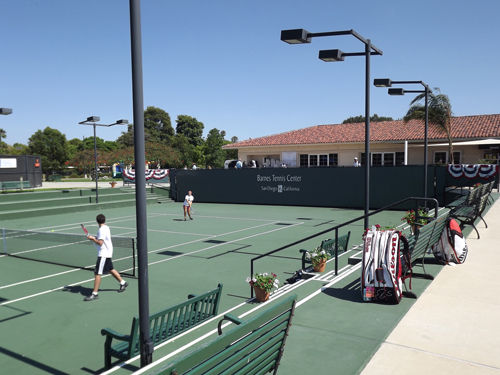 On Friday, the USTA Girls' 16 & 18 Nationals will begin in beautiful, sunny (and never humid) San Diego. In addition to top notch tennis as over 400 girls battle for US Open wildcards, there will be exhibitions by seasoned pros, a special beachfront dinner for the final eight, a college coaches forum and more. Please join us on Facebook and follow us on Twitter for tournament updates. Players can also take advantage of the USTA Girls' 16 & 18 Nationals page on Facebook to find doubles partners. I will be onsite beginning Friday and will be reporting back here and on the official USTA Girls' 16 & 18 Nationals website . (The site is having some temporary glitches, pre-tournament releases and wildcard information is below. I am looking forward to seeing many in San Diego as we see who tomorrow's professional tennis star may be! Also Check out Zoo Tennis for Colette Lewis's coverage of the Boys' 16 & 18 Nationals in Kalamazoo..